While numbers and street protests play a part in popular uprisings, without strategic planning for what comes next (i.e., plans and alternatives for the post-revolutionary trajectory) people’s uprisings can be easily co-opted and revolutionary hopes thwarted. As I noted in an article last year, “the Egyptian revolution originally began with calls for ‘bread, freedom, social justice and human dignity.’ Nowhere in this popular discourse were there demands for greater religiosity or increased state force” . Yet this is the trajectory that the revolution took, with the Muslim Brotherhood co-opting the people’s uprising and coming to power in 2012, to later be ousted by the Mubarak-esque military regime of Abdel Fattah el-Sisi, which, for many, has thus far been as draconian as that of former president Hosni Mubarak. 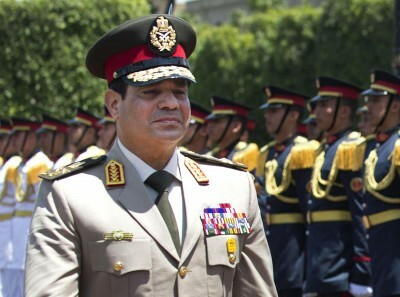 While, from an anti-imperialist perspective, Egypt’s current president Abdel Fattah el-Sisi may have a better foreign policy— seemingly less acquiescent to western imperial interests and the US than both Mubarak and Morsi—to many Egyptians his regime means more of the same. Internally many Egyptians, especially dissidents and journalists, fear the police state tactics, such as repressing and preemptively preventing dissent and government criticism, that Sisi’s government has been accused of, especially in the lead up to the 2016 anniversary of the uprisings . Perhaps worse than the internal situation, has been the broader picture for Egypt and the region in the aftermath of the so-called Arab Spring. Taken as a whole, the region is far more violent, polarized and destabilized than before the Arab Spring phenomena. One unfortunate and bizarre general outcome of the Arab Spring was the rise to power—albeit only briefly in some states—of Islamist groups and governments. This is very strange given that religious extremism and/or a lapse into religious orthodoxy is arguably the opposite of progressive or forward moving change. Despite hopes for change and democracy in the region, the Arab Spring seemed to usher in religious extremism and orthodoxy—sewing the seeds of violent division and sectarianism—in countries that were once secular, diverse and relatively peacefully integrated. Oddly, the same can be said for the global war on terrorism as well as certain western humanitarian interventions. While the war on terror was sold as a mission against global Islamic terrorism, it has done much to—directly or indirectly—take down or attempt to undermine secular regimes and leaders such as Iraq’s Saddam Hussein. Similarly, humanitarian intervention in the region has often led to the ouster or attempted ouster of secular leaders, such Libya’s Muammar Gaddafi and, more recently, Syria’s Bashar al Assad. Secular regimes tend to mean less Islamic terrorism, simply for the reason that they generally display less socio-political tolerance for sectarian division and radical extremism. Ironically, both the war on terror and the Arab Spring have ushered in less secularization, more sectarian conflict and an increase in terrorism, globally. With respect to Egypt, the Muslim Brotherhood’s short stint in power—which was applauded by western governments and predatory capitalist imperialist institutions like the IMF and World Bank—created conditions that helped to usher in regional terrorist groups like Daesh (ISIS), and the associated violence and destabilization of the area. This is in addition to the exponential economic costs and loss of infrastructure that came out of the Arab Spring uprisings and related conflicts. The same is true for certain neighbouring countries that saw Islamists rise to power. All of this raises the question: are the sum costs greater than the sum gains? On whole, for the people of Egypt and the region, it appears to be a loss. But for certain other parties and interests the situation may unsurprisingly prove to be a benefit. This question will be explored in greater depth and detail in future articles. Ghada Chehade is a writer and performance poet. She holds a PhD from McGill University. She expresses her views and opinions through spoken word poetry and written commentaries.